↑ Newsletter of Skåne Regional Council, No. 2, 1999. 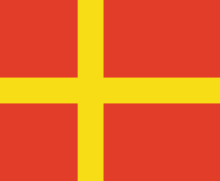 ↑ "Skåne". ne.se. अभिगमन तिथि 3 मार्च 2010.